Athletic Tapes are widely used for prevention, treatment and rehab of sports related and other similar injuries such as muscle pulls and sprains. 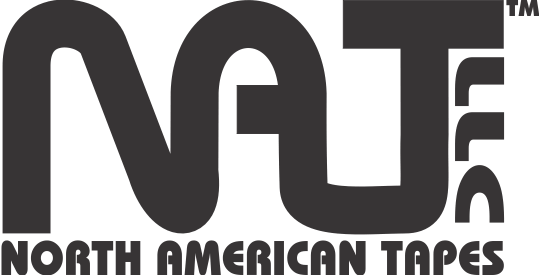 North American Tapes offers our PerforMed™ series of athletic tapes to suit the needs of therapists at every level. From top end performance to excellent performance at economical prices the PerforMed™ line has a product to meet your needs. Athletic tapes are an effective option for the prevention, treatment and rehabilitation of some injuries that occur commonly in sport. Diagnosis of and the course of treatment for injuries should only be performed by trained professionals including doctors and certified athletic therapists. The correct application of a Trainers tape is a very technical art. If the product is applied too tightly it can result in a dangerous restriction of circulation. If it is applied too loosely or incompletely the area being treated may not benefit from the extra support that was desired. Any of these incorrect applications could result in a new injury or additional damage to an existing injury. Only trained professionals should apply trainers tape. The adhesives used on our cloth trainers tapes contain zinc-oxide which helps to reduce or eliminate any irritation that may otherwise occur. Even though the adhesive itself is inert a very limited number of people may have allergies to particular components of the adhesive. Natural rubber latex for example is a component of these and many other adhesives. Although there are no known examples of persons sensitive to natural latex found in this rubber having an extreme reaction persons with latex sensitivity and or allergy should consult with their physician before using these products. Our Standard Trainers Tape features a bleached 100% cotton cloth backing and a zinc-oxide based adhesive. The product is wound with extreme care and packed in highly protective cartons in order to maintain a smooth, easy and consistent unwind from start to finish. An economical tape with professional features for the budget conscious. Our Liteblend trainers tape offers a beautiful bright white appearance without unnecessary bleaching that would weaken the cloth backing. This product is based on a 50% polyester and 50% cotton blend cloth backing and a zinc-oxide based adhesive. The product is wound with extreme care to deliver an unwind that is consistent and smooth all the way to the core. An elastic cloth tape which sticks to itself. Elastcohere is an elastic cloth wrap based on cloth for strength that can still be torn by hand. This product makes an excellent support wrap in areas where more flexibility is desired than can be achieved by traditional trainers tapes. It is also a good alternative base wrap to foam wraps. Putting tape directly on an unshaven leg can cause a lot of discomfort when it’s time for the tape to come off. The aggressive nature of the adhesive may causes minor irritation on some people when applied directly to skin and worn for an extended period of time. The adhesive acts as an impermeable barrier. Moisture (i.e. sweat) cannot get out and oxygen cannot get in. DermaWrap can help alleviate this situation where it is a problem.